Vegatables are good for you and part of a healthy diet. Everyone knows this. However, there are some things that we commonly think about veggies that may not be entirely true but have gained a foothold as facts because they get repeated so often. 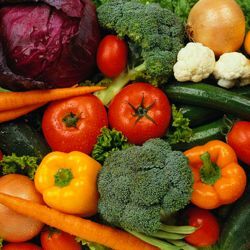 Check out some of these myth busters about vegetables in this list. As with most styles of eating, whether you eat meat or choose to exclude all animal products from your diet, the particular food choices you make determine whether the diet is high, low or well balanced as far as calories are concerned. Many vegetarian foods such as vegetarian cheeses and margarine, nuts, seeds and pastry made from flour and vegetarian spreads are relatively high in fat. If you concentrate on these without balancing them out with starchy carbohydrates such as bread, rice, pasta, other cereals, fruits and vegetables, you could find that your weight actually starts to creep up, not down. Simply becoming a vegetarian is not a guaranteed fast route to weight loss. But in this case, beer is a vegetable. 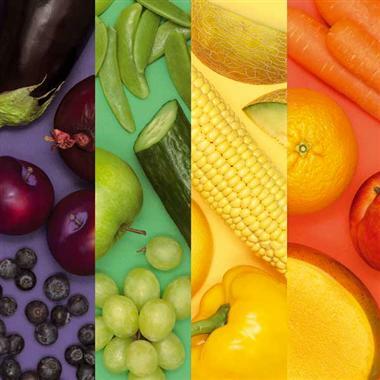 Rooted in an environmental �don�t mess with the brightly-colored frogs� sort of expertise, a longstanding bit of advice in the world of fruits and vegetables claims that the more richly colored a food is, the more nutritional value it contains. As in the case of �spinach over iceberg lettuce,� there�s no denying that in certain instances, this rule absolutely applies. However, there are plenty of exceptions to this idea of which we should all be made aware. White cabbage (as dully colored as its name suggests) is one of the most vitamin and nutrient-packed foods available, containing Vitamins A, B, C, and K as well as calcium, iron, and fiber. White cauliflower is basically just a bundled chunk of antioxidants. Celery has protein and calcium (in addition to boasting a minuscule amount of calories). Red and pink pinto beans? They�ve got nothing that the white variety doesn�t have. If you�re growing fruit and vegetables in your backyard then you can skip this section � produce straight off of the vine is the healthiest form you will find. However, that �fresh� produce sitting out in the grocery? It�s usually traveled quite a distance to be there and distance means time, which means that many of the nutrients in that produce have been lost, despite what the signs claim. 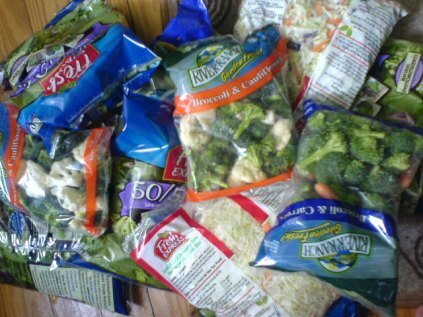 The above issue of shipment depleting the inherent nutritional value of certain veggies played a big role in why the business of quick-freezing and canning vegetables took off in the first place. Freezing peas, for instance, ensures that they are just as full of vitamins and minerals when you thaw them in March as they were when they were bagged up in February. 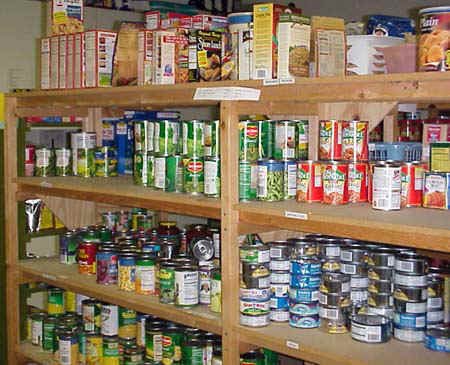 The conditions afforded to canned spinach and pumpkin can actually increase the amount of vitamins contained in each. And if the can is dented, you get a discount. Woo-hoo! 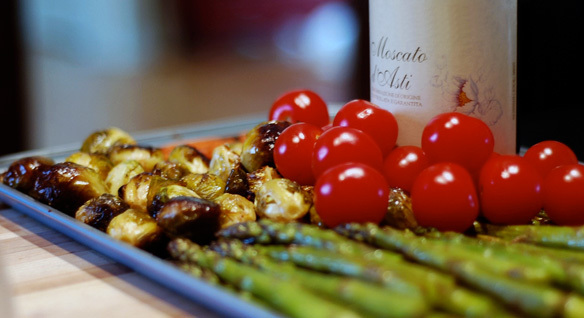 It is true that cooking destroys certain nutrients in some vegetables but it is also true that the heat produced by cooking releases other nutrients making them more bioavailable. Some of the nutrients affected by the cooking process include folic acid and vitamin C. Nutrients such as lycopene which is a powerful cancer fighting antioxidant found in tomatoes and tomato products are made more potent by the cooking process. While the heat (and moisture, if you�re boiling) involved in cooking can sometimes cause some vegetables to lose some nutrients, the cooking can also increase the amounts of other nutrients. The most cited example of this is in tomatoes, which � when cooked � release more lycopene than their raw counterparts (and lycopene can help your body against diseases like prostate cancer). Additionally, the process of cooking can break down fiber in many vegetables, making that vital nutrient easier to process. Many variables factor into any comparison (type of vegetable, how fresh it is, how it was stored, how it is cooked, how it is prepared, etc.) but unless you lit them on fire, vegetables are going to give you a prett heavy dose of nutrition whether or not you cook them. Steaming or roasting is preferred over boiling because it is less destructive to vitamins. Also known as the Popeye effect. Spinach contains iron, and we all know that iron is as strong as, well – iron. 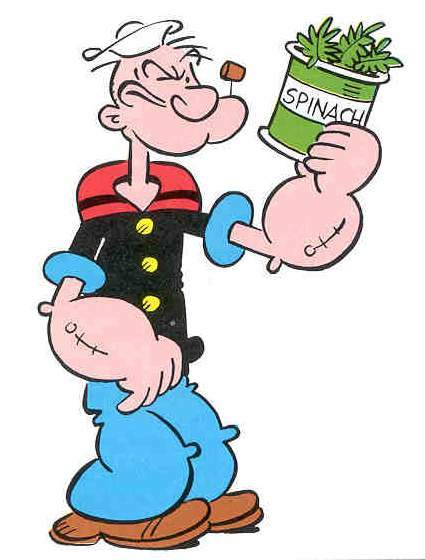 The reason the myth began (and the reason that later informed the Popeye character�s mythology) was because of a misplaced decimal point in an 1870 German study about how much iron was contained within the leafy green. Later, more accurate studies discovered that spinach had no more iron than comparable vegetables and that, coincidentally, the human body could not easily absorb the type of iron contained within, anyway. 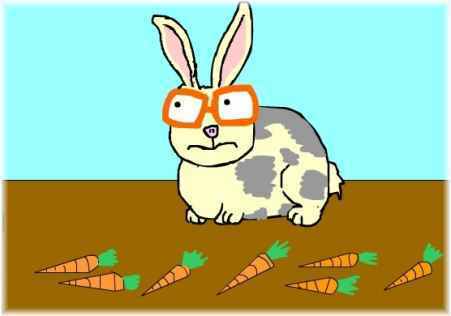 Never seen a rabbit wearing glasses, have you? While it would be awesome if eating five pounds of baby carrots everyday would eventually grant one the power to see through walls and/or unleash optic blasts a la Scott Summers, the truth is that carrots really won�t improve your eyesight. This theory grew out of the fact that carrots contain beta-carotene, which the body converts into Vitamin A (which is used for vision, bone growth, and skin health) and a deficiency of Vitamin A can lead to what is called night blindness (which is exactly what it sounds like � an inability to effectively see in low-light situations). Sounds logical enough, right? Well, the main issue here is in the word �improve�. Like all other vitamins, ingesting an abundance of vitamin A will not improve anything past a normal human level, it will simply help to maintain health (in this case, the health of your retinas) and then your body will either store or eliminate the excess (both can be problematic, in some instances). Many people are under the impression that iceberg lettuce contains no nutrients making it a waste of time to eat it and a waste of money to buy it. While it is true that iceberg lettuce is mostly water, it also contains protein, vitamins, minerals and fiber. One cup of this classic salad favorite delivers a significant dose of vitamins K – a nutrient commonly found deficient in the modern diet. 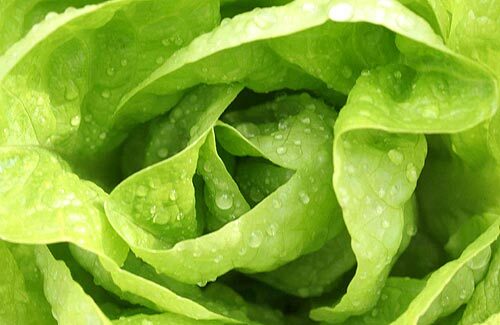 Iceberg lettuce is also a good source for vitamin A which is essential for eyesight health. The spud is not to blame for the calories and fat contained in a loaded baked potato. 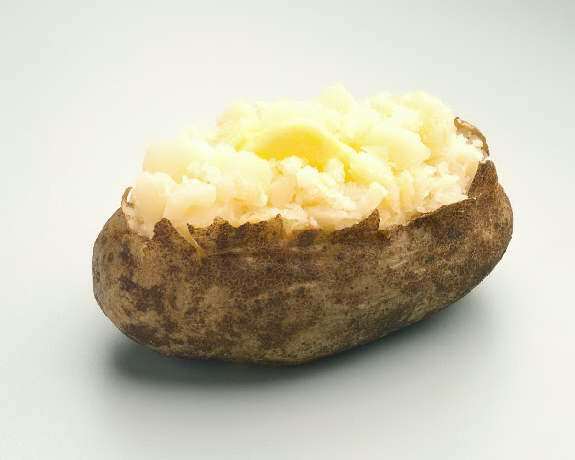 There are only about 150 calories and approximately three grams of filling fiber in a small baked potato. 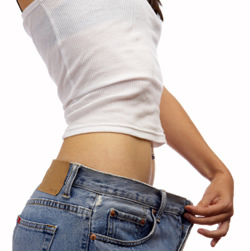 This low calorie, low fat food is a perfect choice for dieters. Potatoes also contain a flavenoid called quercetin which has been proven to boost the immune system. In addition, potatoes contain significant amounts of potassium which is known for its ability to lower blood pressure. It’s when they are loaded up with butter, sour cream, bacon, cheese and other high fat goodies that the potato is transformed from goodness to evil. The other potato myth is the Dan Quayle effect, but that is a whole other story. I have never cared much for fish – it floats in the belly as much as in the pond. I love gardening and making dishes out of its harvest. Good, nutrient rich food can’t be beat. OK nice to see- informed comments are always helpful! See yas. Whey protein isolate contains between 90-97% pure protein and little to no lactose. This is a superb post List o’ Top Ten Myths About Vegetables .